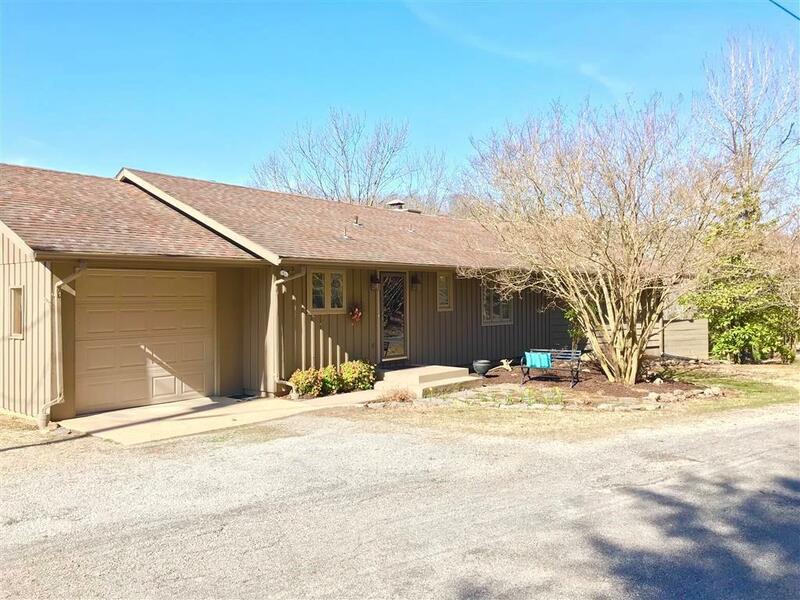 1385 Highland Park DR, Eureka Springs, AR.| MLS# 1108114 | Garfield Beaver Lakefront and Resort Homes for Sale and Northwest Arkansas homes representing buyers and home sellers for all of your real estate needs. Free MLS property search. This classy home is in excellent condition with a DOCK and VIEW! Private dock has swim platform, boat lift, and clear water! 24x40 shop with 2 garage bays, storage loft, and plenty of project space! Land has interesting levels, boulders, cliffs, a road the dock, and a firepit! The house has a large deck with a great view of the lake, granite counter tops, wood floors, and itâs own attached 1 car garage. This property is located in a nice subdivision with paved roads. This is your ticket to lake front fun!